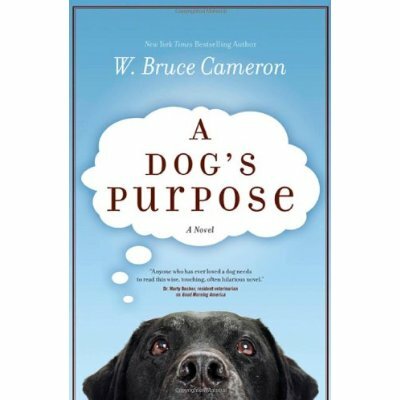 Alisha has selected A Dog’s Purpose by W. Bruce Cameron as our book for August! I’m super excited about this book, as I’m a sucker for books written in a pooch’s first-person (sorry, first-doggy) narration. Our lovely book club, Reader’s Ink (I thank Auntie Cheryl for that clever name), is in the midst of full-fledged nerdy (in the best possible way) discussion of The Lost Summer of Louisa May Alcott, which was our June book. We’re all starting to read the July book, Skippy Dies, which we’ll start discussing August 1st. Nine members from across this nifty country currently make up Reader’s Ink. If you’d like to join, click on the Reader’s Ink icon on the right-hand part of your screen and join via Goodreads. You still have over 3 weeks to read Skippy Dies! It’s a long one—about 650 pages—but they read pretty fast. One of the really fun things about this book club beyond the discussion (which is truly dorkishly fun) is the variety of books we’re reading. In just a couple months, we’ve gone from 19th-century New Hampshire to a Catholic all-boys school in Dublin to, now, the mind of a dog. Why not, eh? I’m so pleased with how Reader’s Ink is going so far. I’m tempted to generate branches for biography and young adult and general nonfiction and history and parenting and women’s studies and . . . . . and then I remember, I have a 17-month-old, a full-time job, a writing class starting next week, a spouse, and a mere 24 hours in a day. So, literature only shall do for now.